With The Hubs trying to eat a bit healthier I've started to have one meat-free day a week, this also really helps me as it means that I'm not cooking 2 separate meals every night of the week! 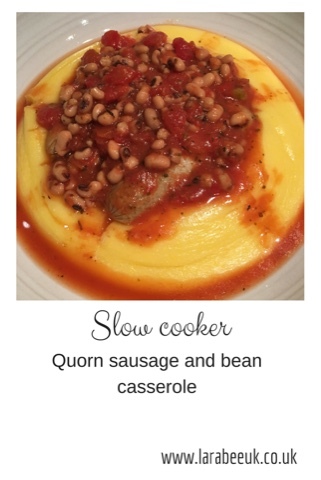 This week I made a declicious and incredibly simple Quorn sausage and bean casserole which I served with creamy polenta, this made for a much lighter casserole than our usual one served with mash. And The Hubs had one of his favourite foods whilst cutting a LOT of calories and fat in the process. As a veggie, I love Quorn products, whilst I don't personally feel like I need a meat substitute it does help when entertaining or eating at friends so I can eat the same foods although veggie versions. 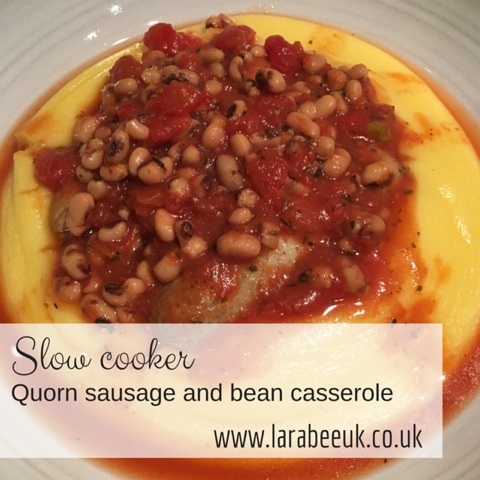 I'm sure that Quorn is now going to be part of The Hubs meat free days, why not swap the meat in one of your meals this week for a Quorn substitute? 1. Put everything in the slow cooker, fill one of the empty tins halfway with boiling water and add to the slow cooker. 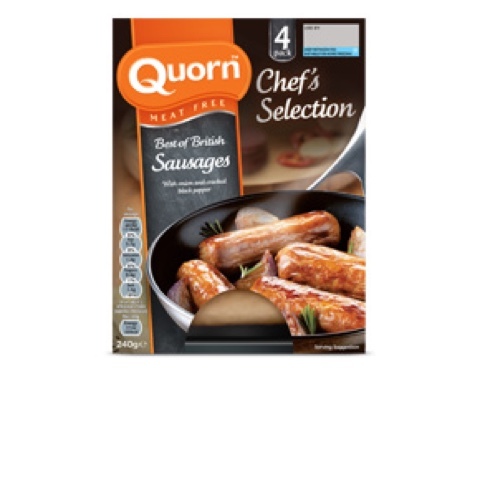 If you would like more information about the health benefits of swapping your meat products for Quorn versions, check out their website here.